Over the last couple of days, I have been reading Mary Beard’s SPQR: A History of Ancient Rome. We think of the Roman Republic in very decorous terms, with all those dignified men in togas. We don’t see many representations of Roman plebeians, who were not permitted to wear the toga—let alone the thousands of slaves living in the city. It was actually a far from decorous time, with over a hundred years of violent conflict between the optimates (wealthy upper classes) and the populares (common people). This century included the Brothers Gracchi, who were murdered; the brutal dictator Sulla; the victorious general Marius; and ended with the war between Julius Caesar and Pompey the Great. In many ways, it was reminiscent of our own times—a time when we are envisioning the end of our own Republic from the repeated assaults of the Dictator Trump. Among the optimates, there were the senate, the consuls, the priesthood, all the Republican offices (Quaestor, Praetor, Aedile, etc. ), as well as the class of equites, or knights. For most of its existence, these are the people who ruled the Republic. The populares, or plebeians, were everyone else (always excepting the slaves, who had no one to speak for them). The optimates did everything in their power to aggrandize their power at the expense of the populares. In fact, one of the reasons Julius Caesar was assassinated in the Senate in 44 BC was his policy of sharing power with the populares. The men who stabbed him were all Senators. 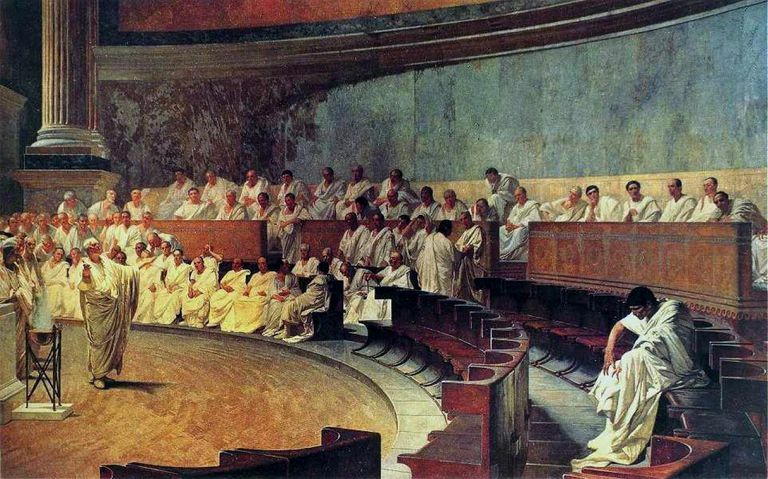 I am tempted to equate the optimates with Republicans, and the populares with Democrats. In fact, the situation was complicated by the inhabitants of the various provinces of the Republic—and these provinces began right outside the Rome city limits.